This is how Captain James Clark Ross described Cape Adare, which he discovered in 1841. Cape Adare is an impressive, dark peninsula, towering as a prominent landmark above the entrance to the Ross Sea. The cliffs of volcanic rocks – the rest of the volcano has been eroded long time ago – are at the northernmost end of the Transantarctic Mountains, offering splendid views over amazing glacier and mountain scenery on rare days with good weather. Cape Adare was discovered and named by Captain James Clark Ross in 1841, who was, however, unable to land due to strong winds and high surf. 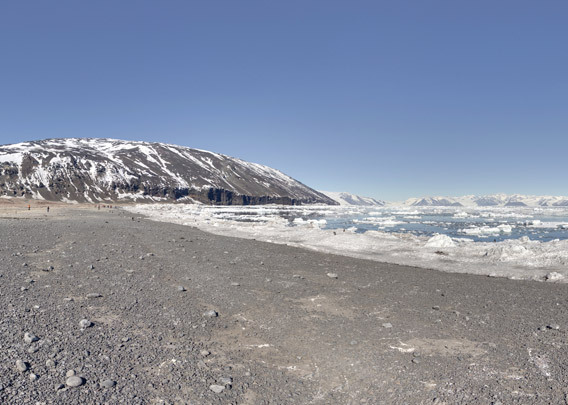 Cape Adare is famous for several antarctic expeditions after Ross, all of which spent some time at Ridley Beach, a flat, small gravel peninsula on the west side of the Cape. The Norwegian Carsten Borchgrevink claimed to have set foot on the continent Antarctica there as the first person ever, a controversial claim as others may have been earlier. 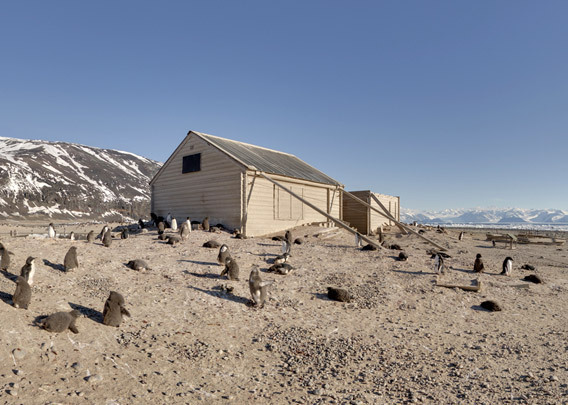 Cape Adare is interesting not only for historical reasons, but also because it is home to one of the largest Adélie penguin colonies of the Antarctic, if not the biggest one. Hundred thousands of penguins are breeding both on the flat peninsula of Ridley Beach and on the amazingly steep adjacent slopes up to several hundred metres high. Some of the winterers of 1900 were not too fond of them: they called Cape Adare a smelly colony and commented that one might as well die immediately rather than live with the dangers and hardships of an antarctic winter first. After his landing at Cape Adare on January 24th, 1895, Carsten Borchgrevink decided to return with a larger expedition under his own command. He returned to the same place on February 17, 1899, to winter with 9 men, something that had not been done before on land in Antarctica (Borchgrevink did not know anything of de Gerlache’s wintering on the drifting ship Belgica when he departed). Borchgrevink and his men built 2 solid wooden huts, Norwegian style. The main hut is still standing. 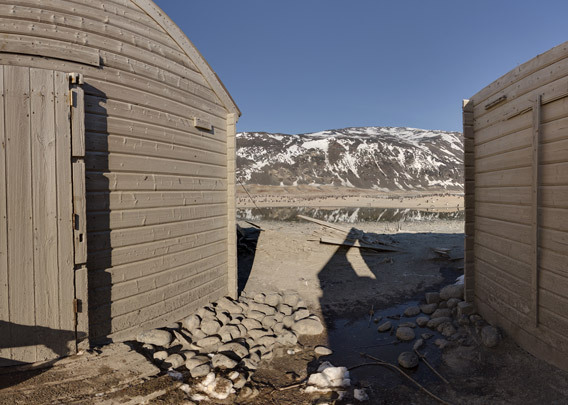 It is not only the oldest of the famous 4 historical huts in the Ross Sea, but the very oldest in Antarctica. This is the only continent that still has the very first building ever built there. The storage hut was connected to the main building with a short walkway with a roof to make sure the provisions were accessible in any kind of weather. 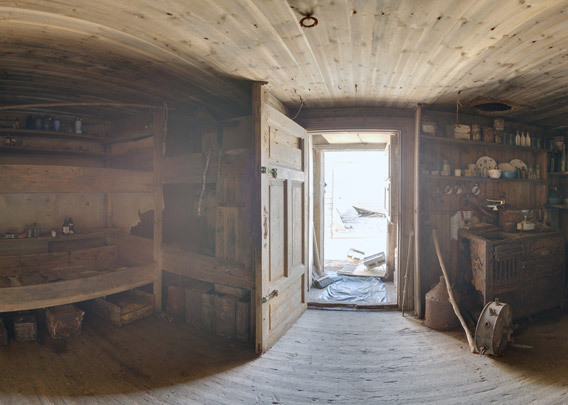 After the wintering, Borchgrevink wanted to dismantle the hut and take it back on board, but he changed his mind when work had already begun. 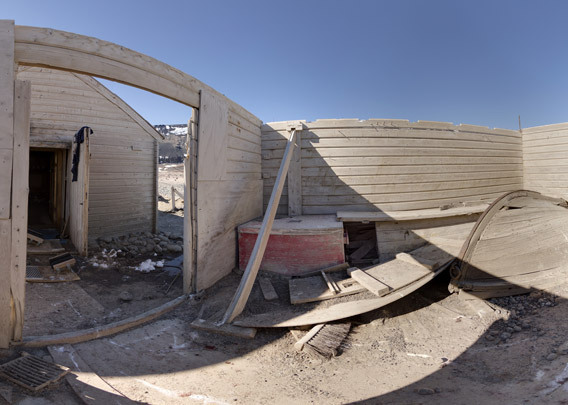 Everything was left behind and the storage hut is now only a ruin without a roof. The main hut is still in good condition, 116 years after it had been built. With 5.5 x 6.5 m, it seems small for a group of 10 winterers. And it was small indeed. Lack of space was one of several factors that made life very hard for the men. The atmosphere was bad from the beginning, and the men soon started to hate each other, with few exceptions only. Lack of good leadership and occupation contributed to make things worse. But at least, the hut was solid and protected them from the strong storms and the winter cold. Zoologist Nicolai Hanson died on October 14, 1899, from disease, probably as the first human ever on the antarctic continent. 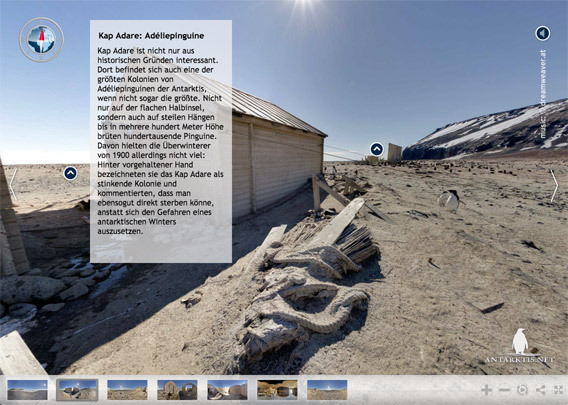 He was buried 300 metres high on Cape Adare, and when he was the very first to die in Antarctica, then his grave is the very oldest on the continent. A group of Scott’s final expedition with Terra Nova was left at Cape Adare to spend the winter 1911 there with science and exploration. Observations made by their biologist George Murray Levick got considerable public attention a good 100 years later when some of them were published in 2012. After the expedition, the original paper called “Sexual habits of the Adélie penguin” was deemed unsuitable for publication, and the details are indeed able to destroy the rather romantic idea that many have of wild animals in general and of penguins in particular. 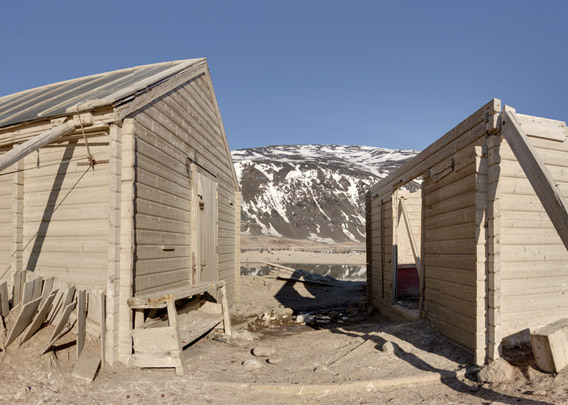 Scott’s Northern Party built their own little house, but almost nothing is left of it, in contrast to Borchgrevink’s hut in the immediate vicinity.